I have been to many baby showers, and I've even had an opportunity to throw one for my sister. 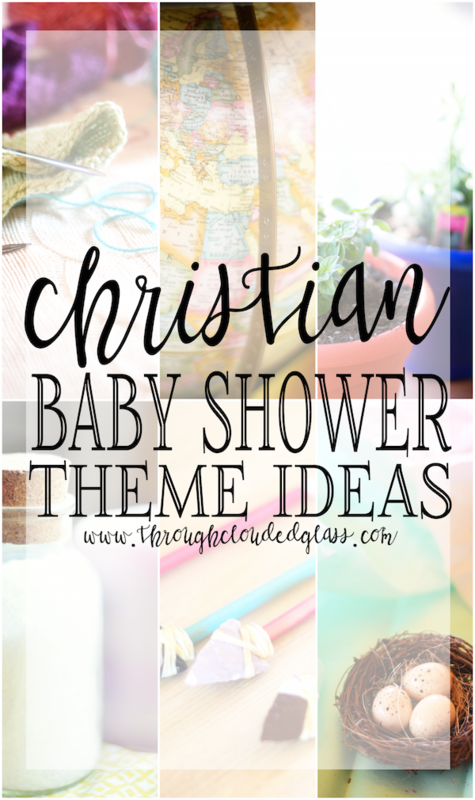 Recently, however, I was challenged to think of Christian baby shower ideas, and I realized that I don't think I have been to a baby shower that had a Christian-based theme. 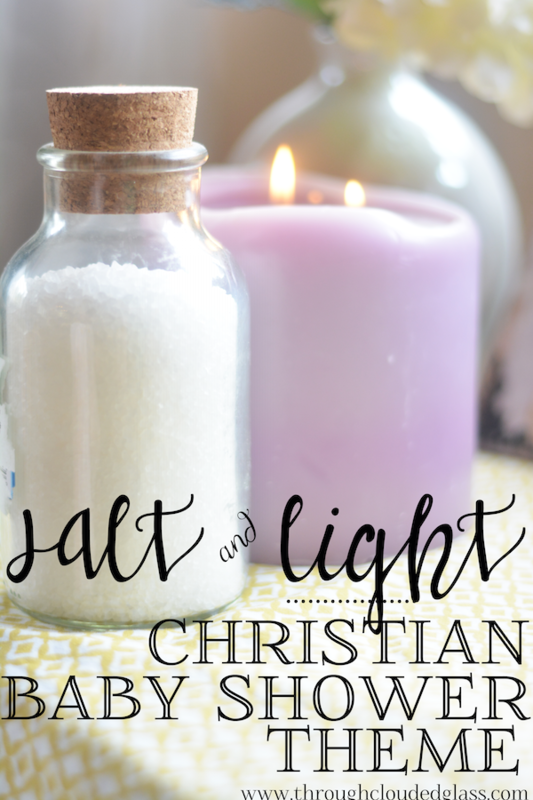 I have been to many that incorporated Christian principles into the baby shower, but none that had a theme surrounding a Christian principle. And I thought, why not? 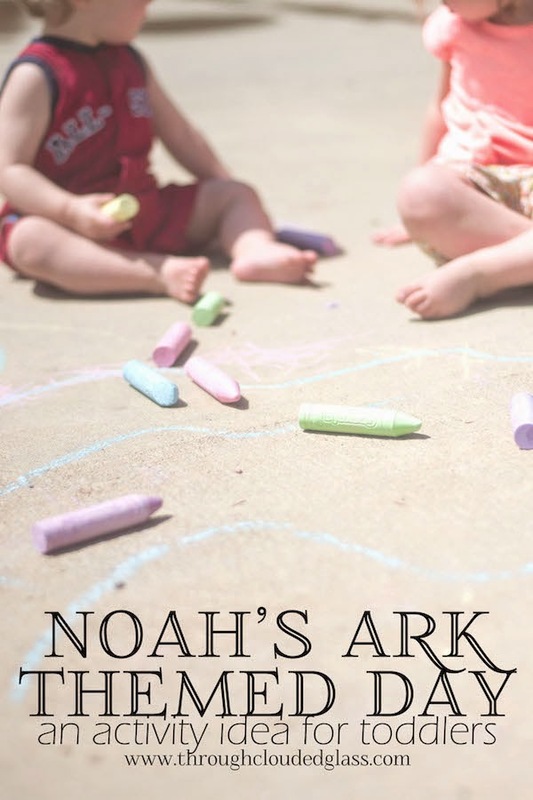 I think there are several cute baby shower themes that could be pulled out of Bible verses! And since I don't know if I will ever have a chance to throw another baby shower (at least not until my daughter is married and having babies), I wanted to share some of my ideas, in the hopes that someone out there can use them. I have not thrown any of these showers myself, so I am afraid I don't have gorgeous pictures of these ideas to show you. Use your imagination, and if you do end up using one of these ideas, take pictures and send them to me! It will make this post more fun to look at, and I'll give you a shout out! This verse is a classic passage of the Bible to emphasize how children are a blessing, which is a great thing to focus on at a baby shower! I think using an arrow/warrior theme would be especially adorable for a boy baby shower, but you could use it for girls too. Other ideas to get you started: Pick out invitations (or make your own) that incorporate images of an arrow. Print out the verse above and display it on the food table. Make an arrow shaped cake, or arrow shaped cookies. Make paper arrows to hang from the ceiling. Buy some faux arrowheads (they are fairly cheap on Amazon), and write the baby's name and due date on them - pass them out as party favors so guests will remember to pray for the new baby. This verse is one of my favorites, as I am sure it has been for many expecting moms. It is so special to think of God knitting a baby together inside their mother's womb, and that becomes so much more real as you experience pregnancy yourself and mark the weeks when your baby's heart starts beating, when all their organ systems are in place, when they start practicing those soccer kicks. And knitting can be such cute theme for a baby shower! Other ideas to get you started: Include the verse on the invitations. Decorate with knitted (or crocheted) blankets draped across chairs, or as a table cloth. Put some knitting needles in mason jars and balls of yarn in baskets (you could probably even find ways to incorporate these items into some of your games). If you are good with your knitting needles (or have a friend or family member who is) you can knit some coffee cup cozies as game prizes. This verse speaks to what is our hope for our kids as Christian mothers - that they would be lights for Christ in a dark world. You could go a couple directions with this theme, either focusing on the light aspect, or the world aspect - I am going to focus on the world aspect! 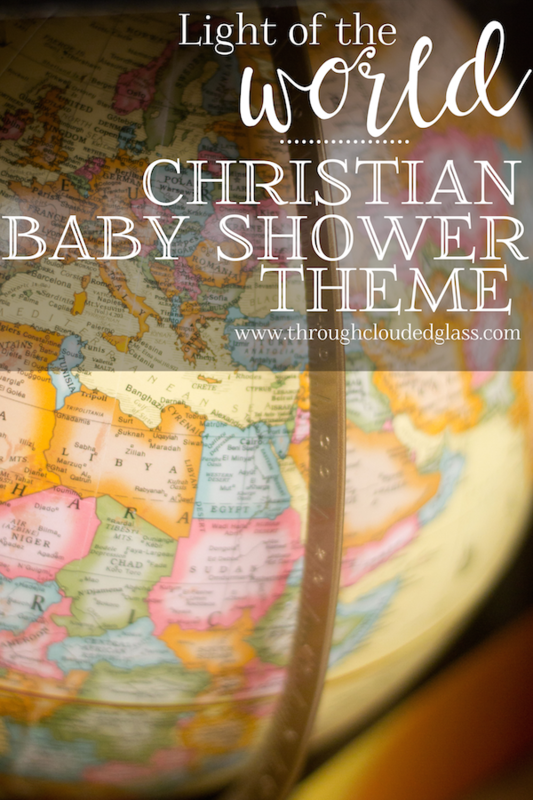 This theme idea was inspired by my friend Bethany, who had a "Welcome To The World" shower theme, and this is one way you can put a Christian spin on it (there are a lot of ways you can make a "Welcome To The World" theme a Christian theme, this is just the way I came up with!). Other ideas to get you started: Decorate with a globe on the food table. Use a map as a table runner. Visit the dollar store for some inexpensive globes that you can hang from the ceiling. Make a globe or map-inspired cake. Make round cookies and decorate them like a globe. Have guests write messages for baby onto a world map, as a keepsake for the mom and baby, or as a nursery decoration. Once again, this verse speaks to our hope for our children, that they would be salt and light to those around them. And it could also be incorporated into a cute theme! I think you can use both of these aspects in your shower, or you could focus on one or the other. Color scheme ideas? 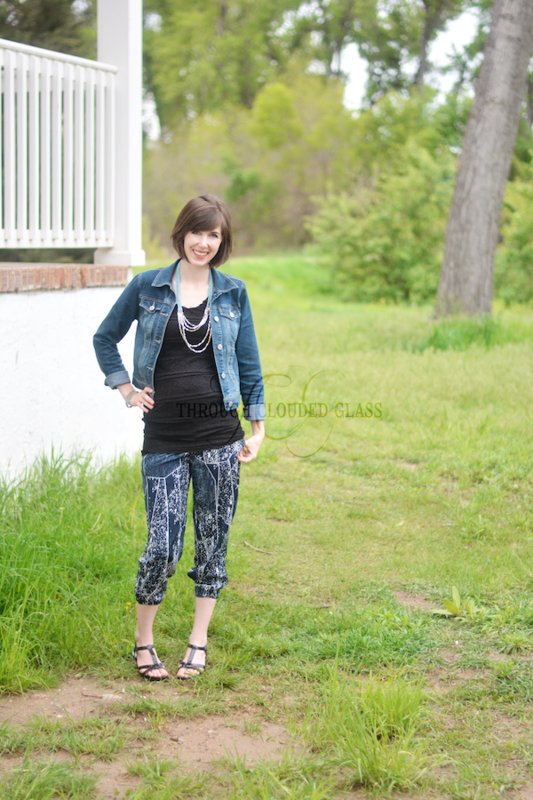 I like mineral inspired colors for this theme, and I would keep it light and airy. Good news is that minerals come in boy and girl colors, so it would be easy to do this theme for either gender! If you want to take it that direction, this theme could also have a spa-type feel to it. Other ideas to get you started: Light lots of candles! Decorate with candles and vases filled with bath salts. Print the above verse and display it on your food table. Serve salty snacks. Have small tubs filled with warm water, and pamper your guests with a (salt) foot or hand scrub. Create your own jars of salt scrubs (you could probably get away with using sugar, it looks just like salt, right? ), and give them away as prizes for your games. Make or buy salted caramels or votive candles as party favors. This theme is all about our responsibility as parents - helping them grow not only physically, but spiritually! We need to train our kids in the Lord, planting and watering those seeds, and pray for them as we see God working in their hearts and growing them. Other ideas to get you started: This theme especially works for you gardeners out there! Decorate with potted plants, or cut flowers (or make paper flowers to hang from the ceiling if that is more your speed). Make a flower or tree shaped cake (or cookies). Create a "tree" out of branches in a vase and have guests write a message to mom and baby on leaf-shaped papers (got this idea from my friends Lyndsey and Emily). Have experienced guests or mentors of the new mom write their "gardening tips" for how to train children in the training and admonition of the Lord. Give packets of seeds as party favors, with a message to pray for the new mom and baby as they watch their plant grow. 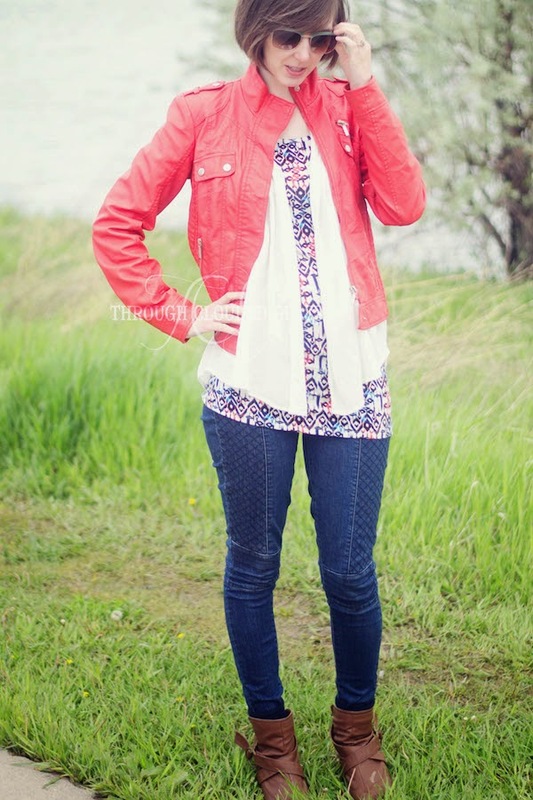 "And I sing because I'm happy; and I sing because I'm free! His eye is on the sparrow, and I know He watches me." -Civilla D. Martin, "His Eye Is On The Sparrow"
I think the verse is pretty explanatory - what a great way to remind a new mom that God watches over her and her new baby, because they are valuable to Him! My ideas for this theme focus mostly on birds, but I think it would be interesting to incorporate elements of copper into the party too since the verse refers to a copper coin. Other ideas to get you started: Print out the words to this hymn and display on a table (I really like this print). Include a silhouette of a bird on the invitations. Use faux feathers or small fake birds (used in floral arrangements) or nest and egg arrangements in your decor. Create bird silhouettes out of coordinating scrapbook paper to hang as a banner. Use the tree idea mentioned for the previous theme, but use bird-shaped cards instead - have guests write of their hopes for the new "baby bird" as they grow and learn to "fly". Have a cake decorated with birds, or make bird-shaped cookies. If I ever throw one of these parties myself, I will most definitely post pictures! 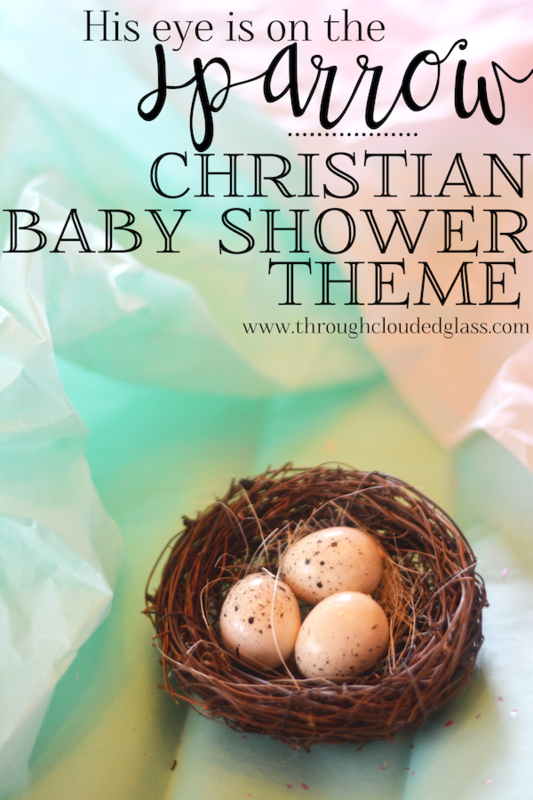 I love the idea of using the entire shower theme to bring focus to what is really happening at a Christian baby shower - celebrating a new life that God has given, and supporting the new mom and dad as they prepare to answer their call to parenthood. 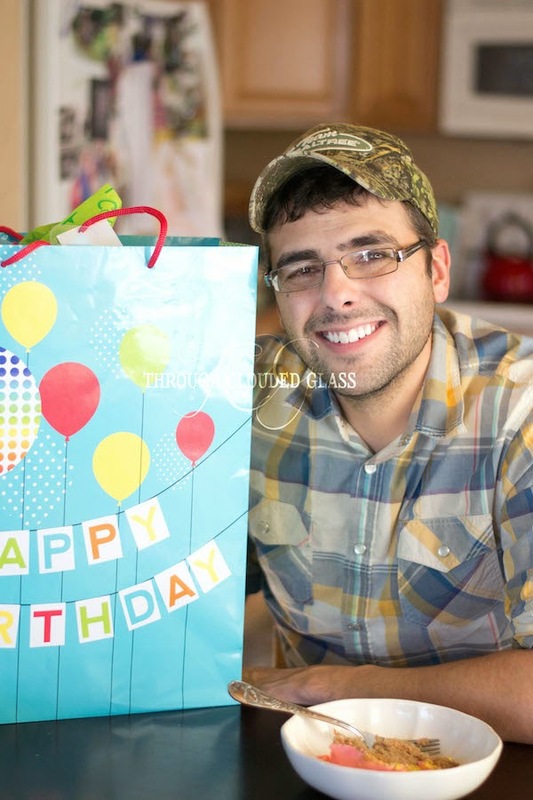 If you are throwing a Christian baby shower and would like more ideas for activities and gifts, I am also on Tommy Nelson's blog today, sharing many more Christian baby shower ideas! 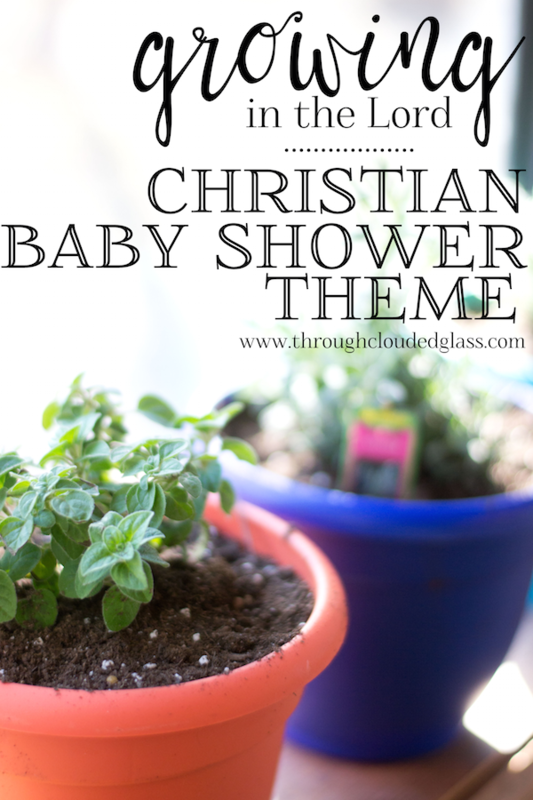 Hop on over there to read more activity and gift ideas for Christian baby showers. 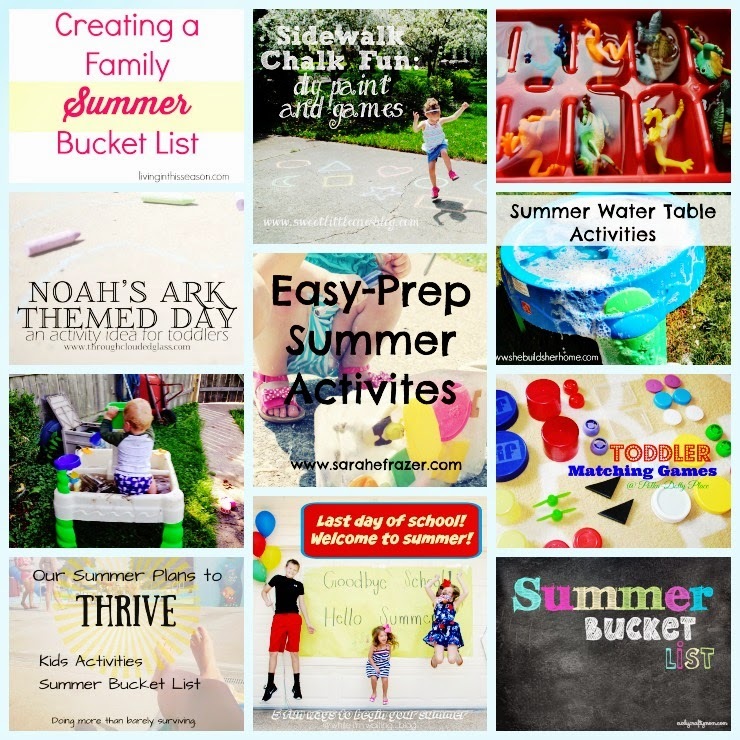 When I initially prepared to write that post, I had no idea where to start, so I asked my lovely friends if they had any ideas - and I was blown away by how many wonderful things they came up with! If you get a chance, visit these ladies at their blogs as well - their creativity and hearts for Jesus are obvious! Leslie from Did You Hear About The Morgans? 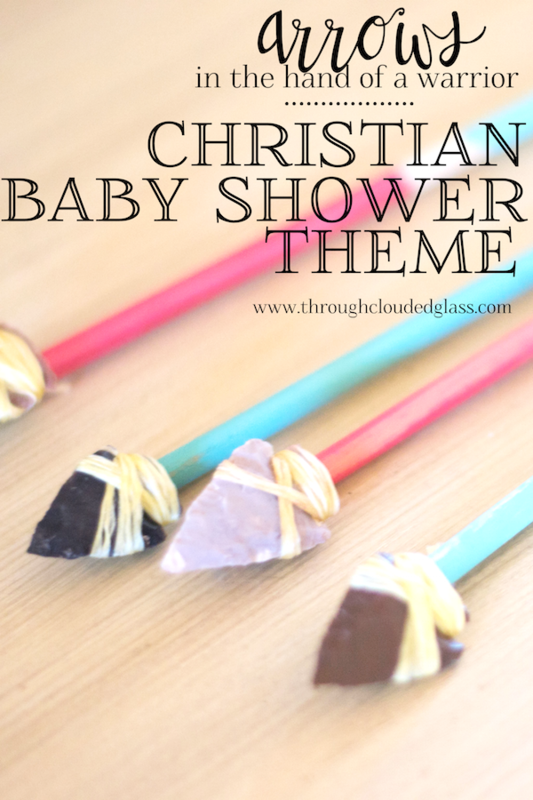 Have you ever thrown a Christian baby shower? 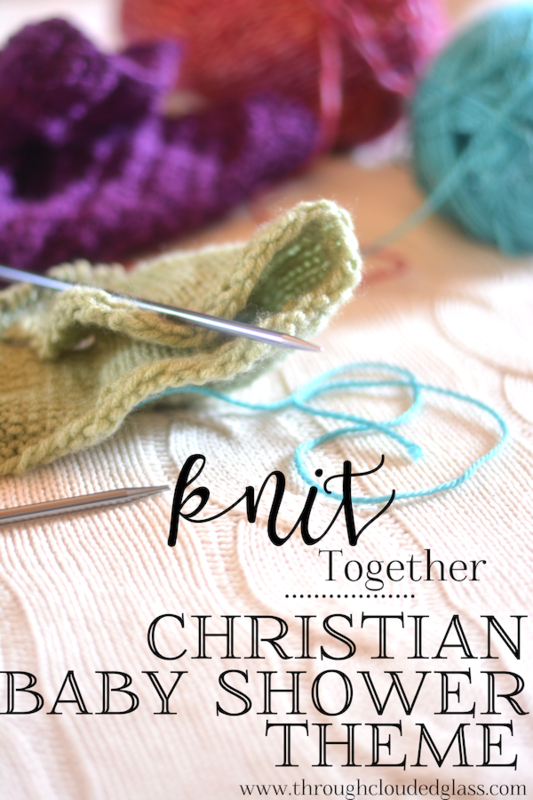 Do you have any theme ideas, or ideas for activities or gifts that have a biblical focus? Please comment and tell me what you came up with, I'd love to read your ideas! Can you believe May is drawing to a close already? This month went by really quickly, and a lot happened - we found out the gender of our baby (not telling until Monday! ), and we lost our first fur-baby. Fun things happened, and stressful things happened, and it just went by really fast. So what did I learn during this whirlwind month? 1. They make 10+ hour lipsticks. Why did I not know this? I have tried lip stains before, but I am not a big fan of sponge applicators and keeping my kips apart for sixty seconds so I don’t mess it up. Then I discovered L'Oreal Infallible lipsticks, and I love them! They go on like a lipstick, and the color sticks around all day (and doesn’t come off on my kid’s cheeks as badly as regular lipstick). You all are laughing at me right now, but I seriously have never tried a long-lasting lipstick before. Do any of you have favorite brands? 2. Appreciate what you have before it’s gone, and really look at those around you. If you follow me on Instagram, you know that we lost our sweet Ralphie dog this month. He wasn’t old, so this was sudden. 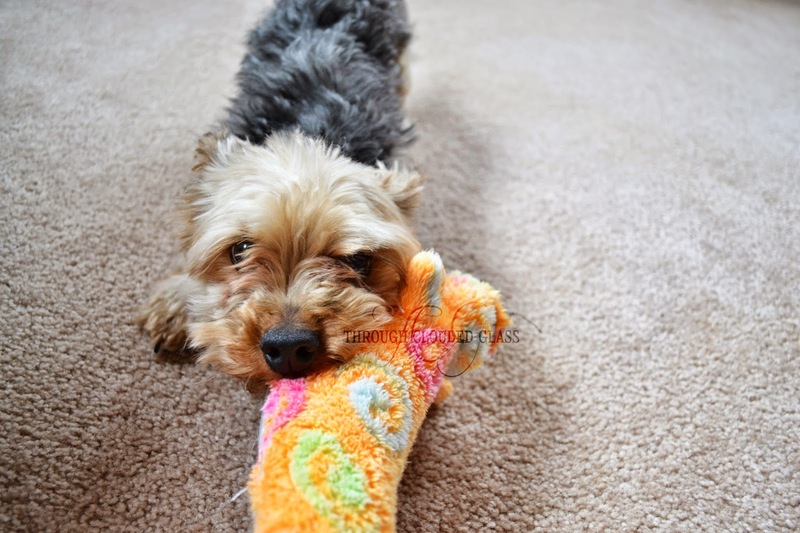 Derek got Ralphie for me when we got engaged, and he was just the sweetest dog. He did these superman jumps off the couch, where he would jump straight out like he was trying to fly. He got scared when we had parties with a lot of people, and he’d hide between my feet. He loved being scratched behind the ears, and he crawled into bed with me every morning and snuggled in a ball against my legs. I keep expecting to turn around and see him following me around the house. His comforting little presence meant more to me than I ever realized before. 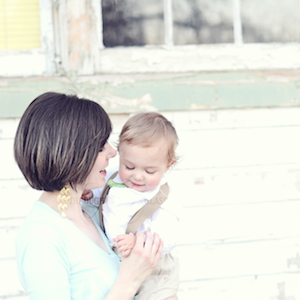 Life with three young kids is hectic, and I didn’t really look at him enough. I took him for granted. Even though I had been more intentional about loving on Ralphie over his last few months (for which I am so grateful), I wish I had spent more time over the last couple years just appreciating my little dog and spending those small moments with him really present. It has been a good lesson for me to apply to the people in my life. You never know when someone you love might just be gone. 3. It can literally rain every day for two straight weeks. Many of you already know this because of where you live. But you have to understand, I live in one of the sunniest states, statistically. An old-time hotel used to offer free room and board on days when the sun did not shine - that’s how often the sun shines here. But the last couple weeks it has rained, and rained, and rained. Pretty much everyone in the state is grumpy and depressed. I’ve felt more irritable lately, and the kids have been cranky, and it occurs to me that we are all missing some Vitamin D! Kudos to all of you who live in rainy coastal states - not sure I could do this long-term. Rain, rain, go away! Thankfully it looks like it might break for our party on Saturday. (Speaking of which, vote here on whether you think Baby is a boy or girl and you might win a Starbucks from me! Stay tuned next week for the big reveal!). 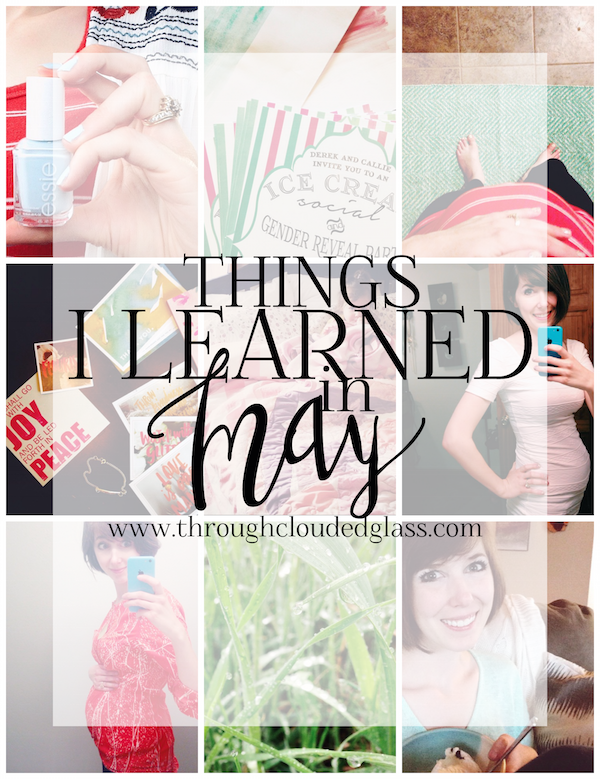 What did you learn in May? 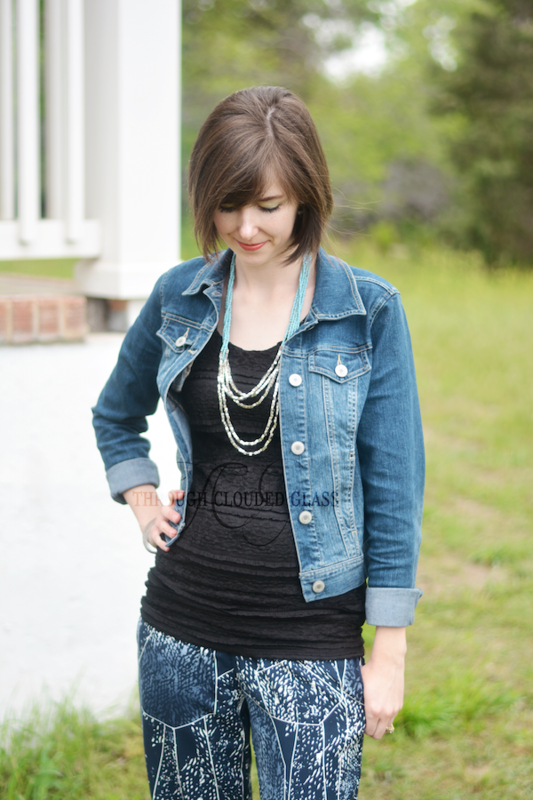 Linking up with Chatting At The Sky and Tuesday Talk. 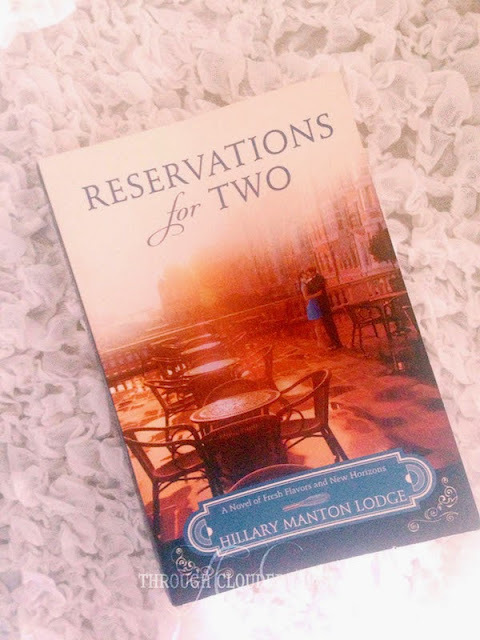 Reservations For Two by Hillary Manton Lodge starts out with Juliette traveling to France and Italy to learn more about her grandmother’s mysterious past. She finds some old letters, and soon discovers many things about her grandmother that she never knew. In the midst of her family’s mystery she is also dealing with the opening of her new restaurant, her mother’s cancer, and her own tangled love life. I was so excited to read this book after reading A Table By The Window (the first book in this series) last year! This book was just like the first one in that it was unhurried, but it kept me interested. There are really two storylines going, one with Juliette’s grandmother through the letters, and one with Juliette’s own life, and they are woven together very well. You can even see some parallels here and there between Juliette’s love life (though in a less dramatic sense), and her grandmother’s from so many years before. I like the characters in this book, because they seem so realistic - not too perfect, and you may not like all their decisions, but they are likable. The word pictures that the author paints in this book are probably my favorite part, and they way she describes the gourmet food makes me hungry. I love that recipes are included for many of the dishes that are mentioned. I’m not much of a gourmet cook, but this book makes me want to try! There was a twist in Juliette’s personal life at the end of the book that I was not expecting, and I am very interested to see how it turns out. The book ended on a bit of a cliffhanger, and I am still very unsure about what is going to happen with Juliette and her family. I will most definitely be looking out for the next book in this series! Note: I received a copy of this book for free from the publisher in exchange for this review. This is my honest opinion. Our anatomy ultrasound went well, except for an odd ultrasound tech - but Baby Four looked great! There were a couple structures they couldn’t get a good look at, because the baby was curled into a little ball way down low. I thought it was so funny to see how this baby was laying, because basically he/she was laying sort of transverse, sort of head down, and facing down. Baby Four was curled up with arms and legs tucked in, but he/she was moving the entire time - just moving arms and legs in little circles or tiny stretches! The hands were balled into little fists too, so Baby kind of looked like a tiny little professional boxer, dodging and jabbing. It was so cute! In addition to the positioning, I also found out I have an anterior placenta - which explains why I wasn’t feeling as much movement. Baby was moving constantly, but I couldn’t feel most of it because of the tight tucking in and placenta. I have to do another ultrasound next time I go in, just so they can look at the aortic arch and spine a little better - and hey, I’m not going to say no to seeing my baby again! But everything looked great, and we are so thankful for a healthy baby! Heart rate was (if I remember right) around 155 bpm. I’ve gained about 9 pounds so far, which is right about on track. I am feeling good, though I have definitely been getting more lower back pain the last couple weeks - and I wonder if it has something to do with the way Baby was laying. All my other kids were in a nice head down position at their anatomy ultrasounds, so this one is doing his/her own thing. It probably also wouldn’t hurt to get a chiropractic adjustment - my back muscles actually cramped up on my right side the other day to the point where I couldn’t move without pain. My brother had to come over to help me get the kids out of the car (we just got home), and I had to lay on the couch for an hour before it finally felt normal again. So an adjustment might be in order. I have been feeling the baby move way more ever since the ultrasound, which makes me think maybe he/she changed position (or maybe just got bigger). 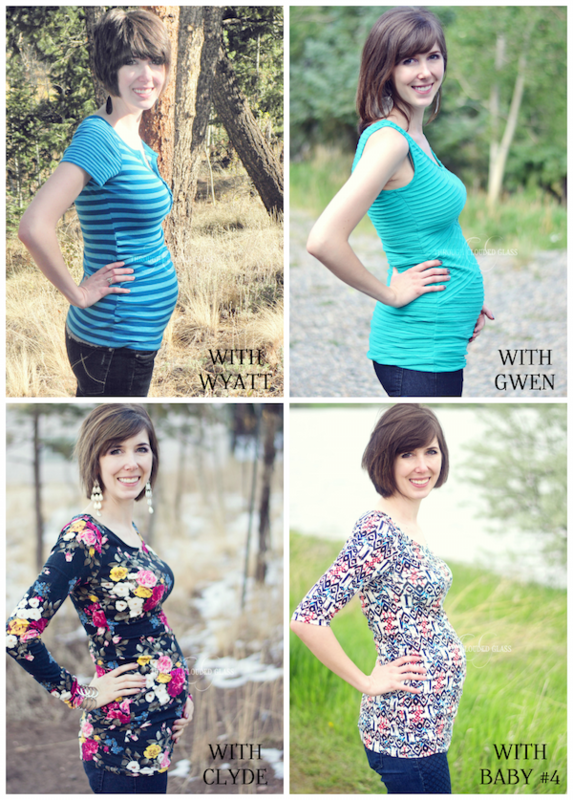 I am so glad, because baby movement is my favorite part of pregnancy and it is finally starting to pick up! The movements are mostly really low down, but I have felt a few nudges above my belly button too, so I’m not sure what Baby is doing in there. I felt like I could almost feel a couple kicks from the outside, which is exciting! I’m hoping Derek can feel the baby soon. The kids are being so cute about the pregnancy, as always. Wyatt will randomly comment about how my tummy is getting bigger, and Gwen points sometimes and says “There’s a baby in der.” Clyde has no clue what is going on, but he gives me kisses all the time (he is my kissiest baby to date), and sometimes if I’m laying on the couch he’ll kiss my tummy, which is adorable! Preparations? Nothing new for the baby’s actual arrival, but we have our gender reveal part coming up on Saturday! Though I am starting to worry about how it will go. 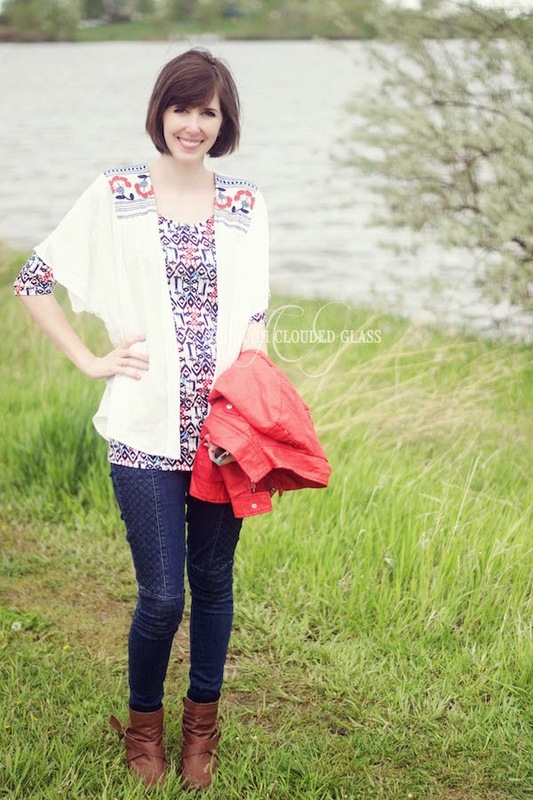 I was so excited to do an outdoor party at a park this time around, but for the last 2-3 weeks it was been raining almost every day - so I am praying that we don’t get rained out! I’m crossing my fingers that we won’t get any major weather that day and can proceed as planned. And can I talk for a minute about this spring/summer's fashion and say that I am so glad there are so many stretchy waistbands? 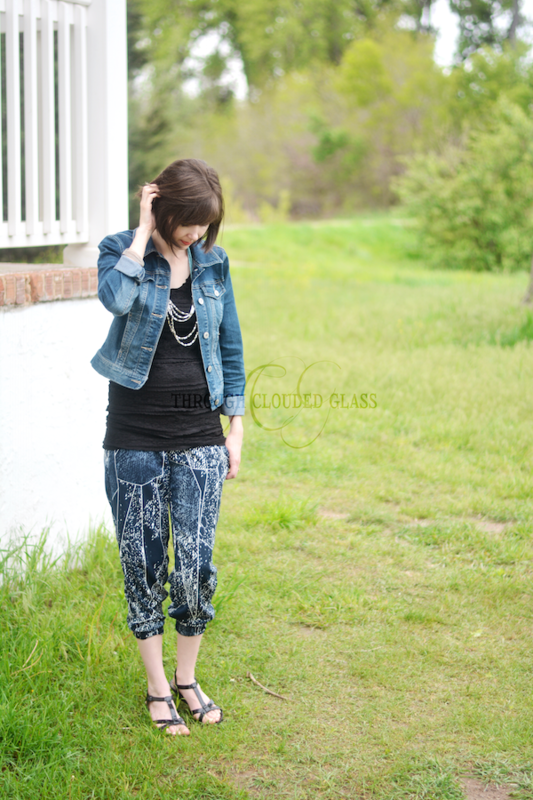 I wasn't sure about the whole palazzo/lounge pant trend at first, but then it occurred to me that these pants are perfect for pregnancy. So comfortable, and hopefully I can get a bit more use out of them next summer too! I will have the big announcement up on the blog next Monday, but if you haven’t had a chance to vote on what you think the baby is, you can fill out the form below! Someone who gets it right will be getting a Starbucks on me, just for fun. I’m excited for everyone to know! It’s been challenging avoiding baby conversations and watching my words so I don’t let it slip! Check back next week for the news! 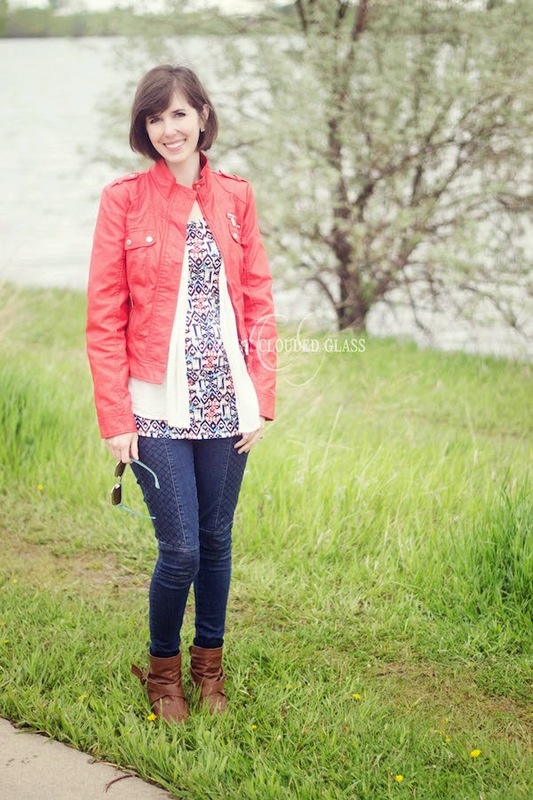 Linking up with The Life Of Faith, Life Could Be A Dream, Life Of Meg, Fizz and Frosting, The Pleated Poppy. A few months ago, we had a guest speaker at our church who spoke about Jesus’s command to “love your neighbor as yourself”. But in the message he spoke about reaching out to your literal neighbor - knowing who your neighbors are and forming relationships with them, with the hope to ultimately reach them for Christ. I was convicted, and for Christmas we grabbed some Thin Mints from the dollar store and passed them out to a few neighbors - and for the first time in six years, I actually knew the names of a few people living around me. When I heard about the book “How To Love Your Neighbor Without Being Weird” by Amy Lively, I snapped it up - I was hoping for more ideas on ways to reach out to these people whose names I finally know! You know how sometimes it feels like a chore to finish reading certain books? This book was not like that. Lively opens up with her personal testimony, and then tells the story of how she started a neighborhood Bible study. She effortlessly weaves stories into encouragement for why we need to reach out to our neighbors, the benefits and challenges, and practical encouragement. I felt like there were a lot of good ideas and inspiration in this book for getting out there and really talking to your neighbors. This book is definitely more geared toward women, so if your husbands are interested in getting to know the neighbors better too, you might try finding some more male-geared resources for him. 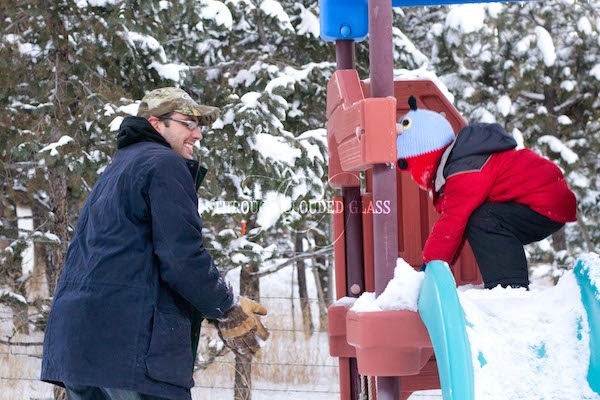 At first I felt like the author almost assumed that you already knew a lot of your neighbors and were building on an already formed connection, and I was a little frustrated because there didn’t seem to be a lot of information for how to practically go about establishing those relationships to start with. But finally toward the end of the book she gave some ideas for how to meet your neighbors. Lively gives ideas for different events to host or attend to get to know your neighbors, and encourages you to open your home to your neighbors. But I felt like much of the book focused on encouragement for forming a neighborhood Bible study. In a lot of her stories about her own neighbors, she talks about neighbors she has who already follow the Lord. I don’t think every neighborhood would have so many Christians in it (some might have only one other believer or none) so I think it might be a little challenging for every person to follow her suggestion to establish a neighborhood Bible study. It might work beautifully for some neighborhoods, but might not garner interest in others. My neighborhood, for instance, is one where people are very private - that’s why we live where we live, because it’s private. We live on acres (not fractions of acres), and it’s difficult to talk to neighbors over the fence, or say hello in passing, because we are so spread out. I know that I only know three neighbors in my neighborhood by name so far, and I can’t really say we have any sort of neighborly relationship yet. I’m still working on it, so it would be a little “weird” for me to go up and just invite people to a Bible study at my house right off the bat. Lively does suggest that you establish the relationships first, but most of the book assumes you have already done that - I’d like more information/encouragement for those very first steps! Regardless, this book was insightful and gave me a lot of inspiration for getting out there and trying again with my neighbors. 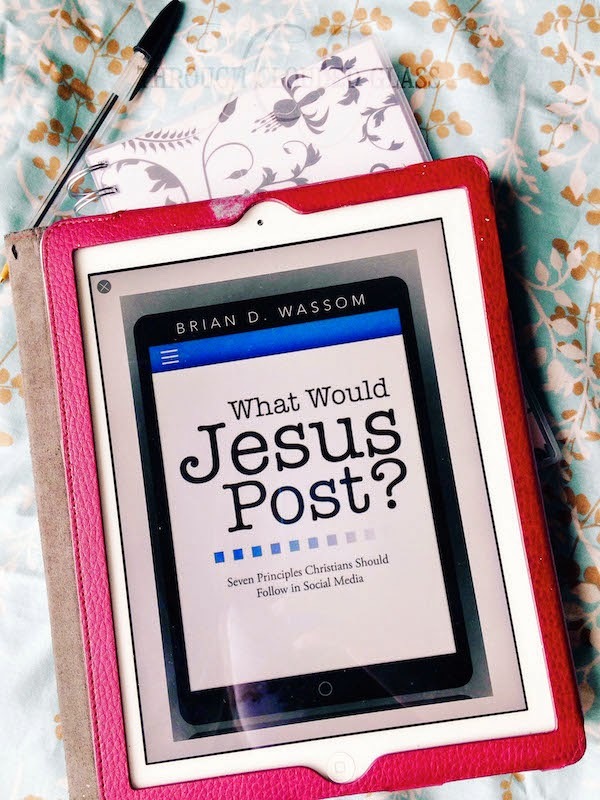 I do think the “love your neighbor” commandment has been largely ignored in recent days when it comes to our literal neighbors, and I love that there are more books out there addressing this issue - and this one is a great one for more ideas on connecting with your neighbors! 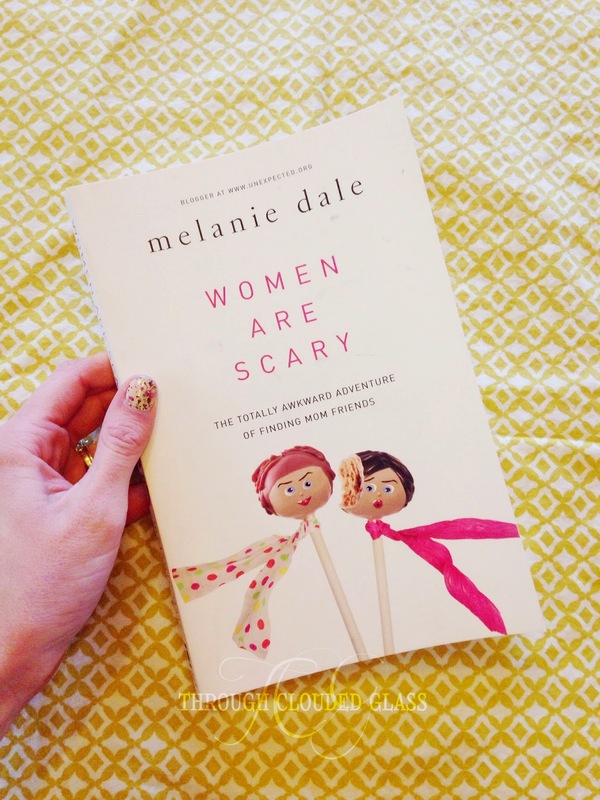 I just finished reading Women Are Scary: The Totally Awkward Adventure Of Finding Mom Friends by Melanie Dale. I think it’s funny that I have read two different friendship books so close together (the other was Heart Sisters), because it gives me a chance to compare them. If Heart Sisters was a guide to deepening your friendships, I think this would be more of a guide to forming friendships. Dale takes you through that awkward first phase when you know nothing about each other with humorous tips on how to take your “mom dating” friendships to the next level. I think the subtitle does describe some of my feelings about this book pretty well - I felt like much of it was awkward. Dale uses a dating, first-base, second-base, etc. metaphor to describe the different stages of forming friendships with other moms. That was just an awkward comparison to me to start with, and Dale’s sense of humor thrives on awkward, so the awkwardness was just emphasized. If you like that kind of humor, you probably would love this book. For me, I thought the dating comparisons bordered on inappropriate at times, especially in today’s world where references to homosexuality abound. She wasn’t suggesting anything of the sort in the actual meat of this book, but that’s why I found it hard to relax and enjoy reading it. Plus, I’m just not a potty-humor kind of person, and those jokes are prevalent. Dale self-identifies as “gross”, so you can get an idea of some of the humor. That said, I did think a lot of the situations and movie references in the book were funny! I thought there were many useful tips and inspirations for making friends scattered throughout, as well as just commonsense advice about how to handle certain difficult situations with friends. Her stories were hilarious, and if you have ever had an awkward friendship moment, you can read this book and know you are not alone. It made me think about and appreciate the friends I have who have stuck with me through all these stages, and it was good inspiration to put the effort in with some ladies I haven’t known as long. I’m not sure I would necessarily recommend this book just because of some of the humor, but it kept me interested and I did enjoy it. Note: I received a copy of this book for free from BookLook in exchange for this review - this is my honest opinion. As I am sitting down to write this post, two things keep coming to mind. I am so thankful for my dad. I am so thankful for my husband. I think as a culture we tend to elevate the roles moms play in their kids lives and dismiss dads. All you have to do is sit down and watch a few commercials and you’ll quickly see how little value is placed on fatherhood - moms are portrayed as super-woman, and dads are portrayed as clueless at best and stupid at worst. There are some exceptions, and I love the commercials I find that honor dads. But it is disturbing to me that honoring dads on television is the exception rather than the rule. Research shows again and again that children thrive best in a situation where there is a mom and dad present in the home. Kids need their fathers, and I think we undervalue their role. When I think of my childhood with my dad, I think of a man who took us out shopping for my mom, talked to us about the outdoors, and hunting, taught us to appreciate God’s creation. I think about a man who played games with us, and explained history to me in a way that made me love it, and picked flowers for my mom, sister, and me when we went on horseback rides. I am so blessed to have a dad like him. When I think of my husband, I think of a man who takes time to tuck the kids in at night, and reads them a Bible story and prays with them even though sometimes he might be tired, because he wants them to know that a relationship with Jesus is important. I think of a man who records Nascar races just so he can watch them with Wyatt, who tells Gwen she’s beautiful, laughs every time Clyde says “Hi Dah-DEE!”, and takes time off from work to come to every ultrasound with me so he can see our newest little one. I am so blessed that my kids have a dad like him. 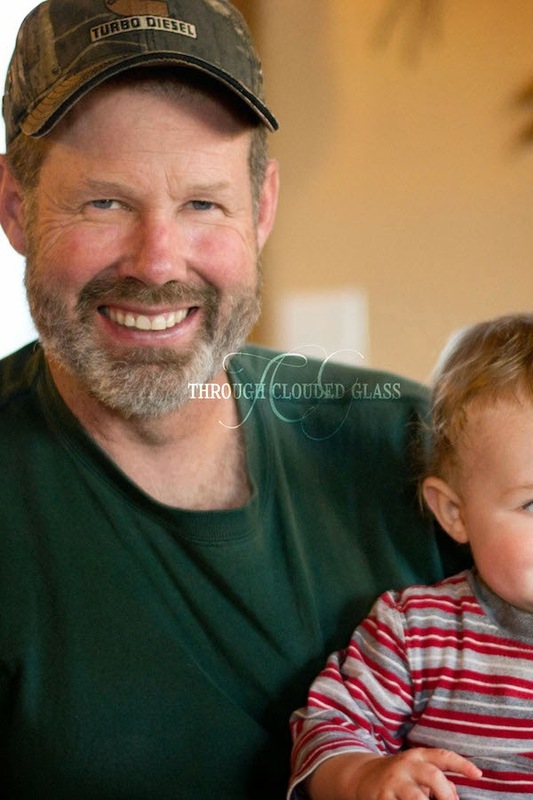 And this might sound like a Father’s Day post, and I guess in a way it is an early one, but does it really need to be Father’s Day for us to honor the dads in our lives? I think not. What brought all this on? I got this sweet book in the mail, and as I read it I remembered all the things that I love about my dad, and all the things that I love about Derek. “Daddy Loves You So Much” is the companion to “Mommy Loves You So Much”, and I was so happy when I saw that Tommy Nelson came out with a version for dads as well! This book have sweet animal illustrations of all the things dads do for their kids, including teaching them, making them laugh, and reading God’s word to them. 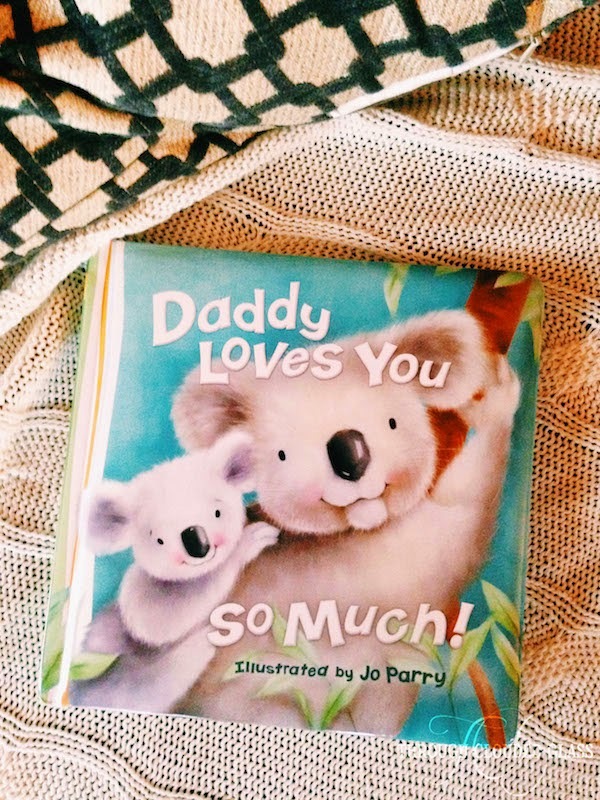 I think this book is such a sweet one to read with our little ones, to remind them about all the things their dads do for them - and it’s a great reminder for them to say thank you to their dads! So many people don’t have fathers or even father-figures in their lives, and I want my kids to realize how blessed they are that they do - this book is a tool for doing that. 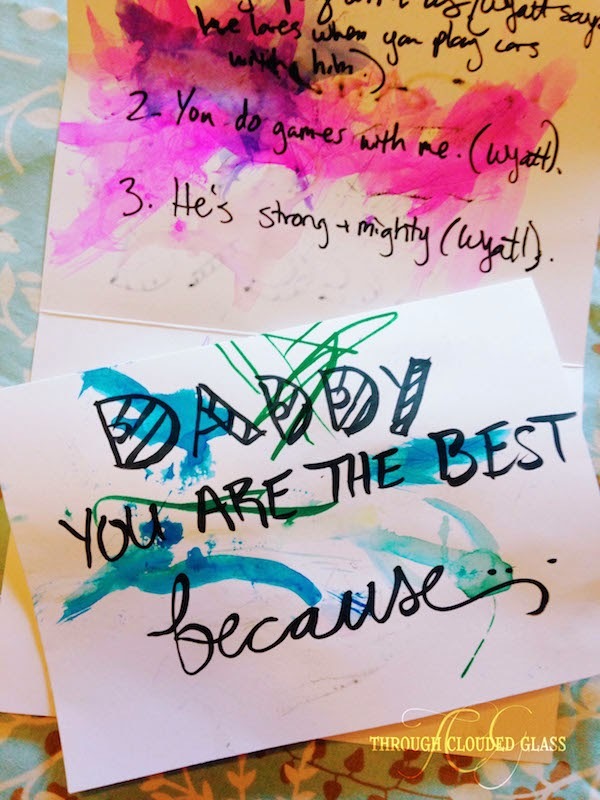 Inspired by the book, I had my kids sit down one afternoon, and we filled up some cards (hand-painted by the kids) with all the things their dad does for them - then we gave it to their dad, as a “just because we love you” card. Because I think great dads deserve to be appreciated even when it’s not Father’s Day. Tommy Nelson is giving one of my readers a copy of this book - and I’m going to make this the easiest giveaway ever - just click the entry on the Rafflecopter form to enter (and you can do the extra entries for more chances). This is a great book to read to your kids with Father’s Day coming up! Note: I received a copy of this book for free in exchange for a review - this is my honest opinion. Do you have one of those friends who will always stand by you - who you just know will be a friend all your life because you have gone through the ups and downs together? Someone who will challenge you, tell you the truth in love, and be the first one to offer help when you need it? Natalie Chambers Snapp calls this kinds of friends “heart sisters” in her book by the same name. I think most people are lucky to have one or two of those kinds of friends in their lifetime, but you can greatly increase your chance of having a “heart sister” if you learn how to be one first. Snapp’s book is perfect for just that. Heart Sisters isn’t so much about making friends as it is about recognizing the really good ones when you have them, and learning to be one yourself. Snap covers all the characteristics of a “heart sister”, things heart sisters do and don’t do. She talks about walking through conflict with heart sisters. She talks about forgiveness, and she talks about how to train our daughters to be good friends as well. Snapp’s heart for changing the culture of female friendships to be a culture of encouragement was very clear throughout this book, and I appreciated so much of her advice! I especially appreciated everything she had to say about conflict and forgiveness, which were major themes throughout the book. I think she focused on these so much because in order to be a good heart sister, you need to know how to deal with difficult or hurtful situations when they arise - and if you handle them poorly you can lose any chance you had at forming that close friendship that might have been possible. I appreciated a lot of her advice on conflict resolution between friends, because though I’ve had to walk through it like so many women, I am not sure I have ever really read a book or article about it, and Snapp offers sound biblical wisdom on these subjects, and several others. If you are looking for advice on how to form friendships, Heart Sisters is probably not quite the book you are looking for - but if you would like to deepen the friendships that you already have, this is the perfect book to read! Note: I received this book for free from Litfuse Publicity in exchange for a review. This is my honest opinion. As of Monday I am 20 weeks pregnant, and it is starting to hit me that this is real. 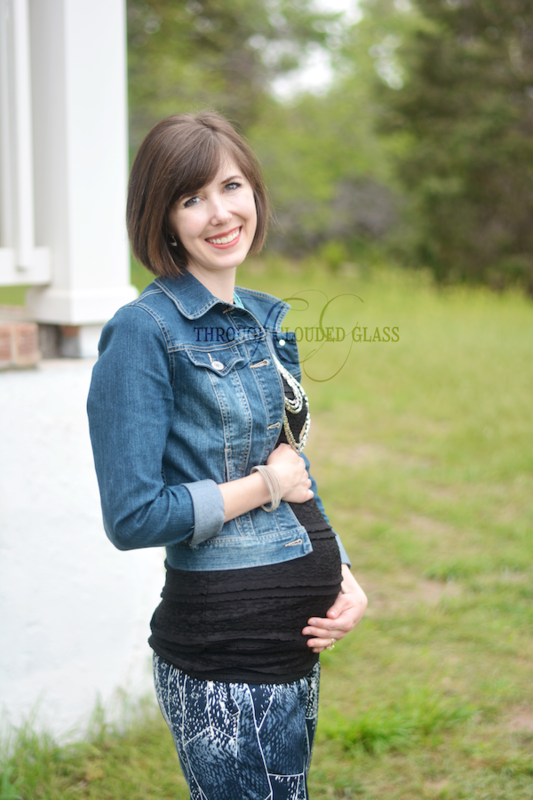 I am going to have another precious baby to snuggle in just a few short months. I have never been pregnant through an entire summer, but this year I will be. Oh, I have heard all the horror stories of how awful it is to be pregnant during the hot days of summer (thankfully I live in a state that is not humid, so I'm hoping that works in my favor). 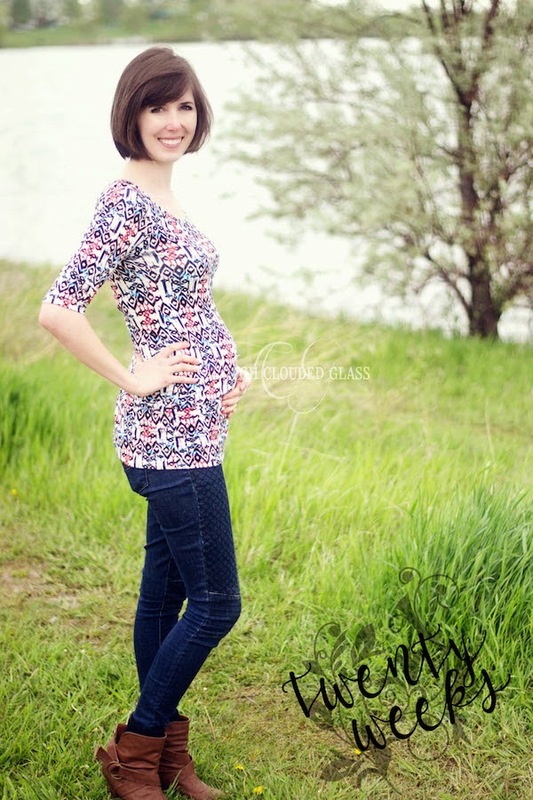 I am more concerned about how fast the rest of this pregnancy is going to go by since it is through the summer. Summer always seems to go by so fast anyway, and I want to make this a slow, lazy summer, so I can enjoy all the little pregnancy milestones! Baby is ten inches long from head to toe - ten inches! Apparently that's about the length of a banana, and it's hard for me to believe that my baby is that big already. You would think I wouldn't be surprised by this stuff anymore, but pregnancy is just as miraculous the fourth time as it is the first time. I have definitely been feeling more kicks, but this baby has been pretty gentle so far. It still just feels like little bubble pops on the inside of my stomach. No movement from the outside yet, but I imagine that will start soon. This baby doesn’t seem to move as much as the other kids did at this point, but my memory may be faulty. I have had a feeling from the beginning that this one is a more mellow baby - we will see if I'm right when he/she makes their appearance! Speaking of he/she, today is the big day - we find out the gender of our little one! Unfortunately we were not able to pull our gender reveal party together in time to do it this Saturday, so we are having it on the 30th instead - so I'm sorry, but I'm going to have to make everyone wait! I will make the gender reveal announcement on the blog on June 1st, and just for fun, I am holding a little poll/contest - make your guess with the form at the bottom of this post, and I’ll randomly pick one of the correct guessers and send you a Starbucks gift card! Just for fun! If you want more information about this pregnancy before you make your guess, here are the most common questions. -Carrying high or low? Higher than any of my other pregnancies. -Sweet or sour? Vegetables, so I guess sour! Though brownies have been hitting the spot lately too. -Hands palms up or palms down? Palms up. -Nails/hair/hands? Nails are most definitely weaker, hands are dry. -Morning sickness? 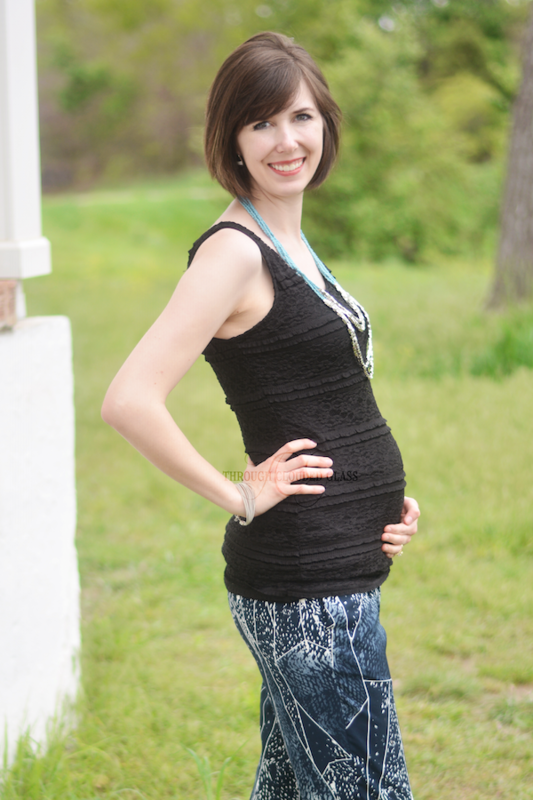 I never get much morning sickness, but this has been the easiest pregnancy yet. -First trimester heart rate? 163 bpm. -Do I have a feeling one way or another? I did, but now I don’t know. And if I did, I wouldn’t tell you, because that might give you an unfair advantage (or lead you to guess wrong, as the case may be). You can also read these posts if you want to do some research before making a guess! And that’s all the help you get! I have started becoming more unsure of whether this baby is a boy or girl. I am still going with my original guess, but it seems like some symptoms are no longer fitting in the box as nicely, so I am not sure anymore. 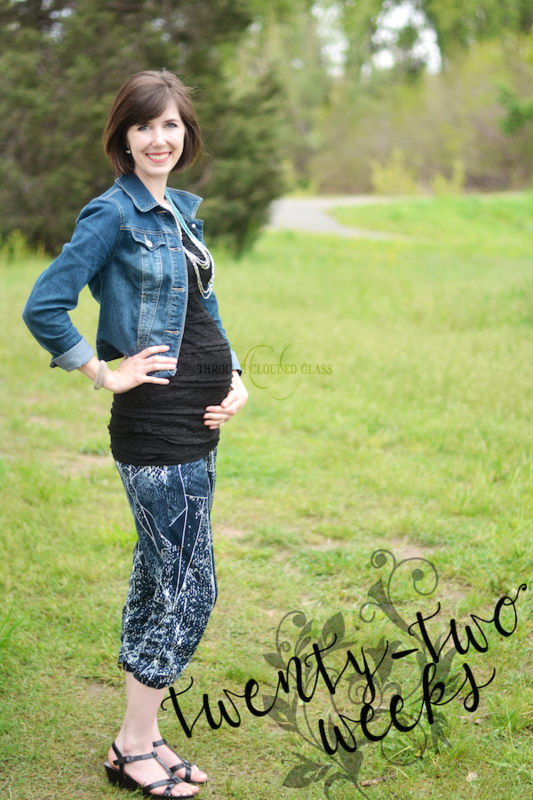 I won’t be surprised either way, and I am going to be thrilled with either a boy or girl! I am still feeling really good. I have been having a horrible time dragging myself out of bed the last week or so, but I suppose a little fatigue is to be expected. One thing I keep neglecting to mention is how much round ligament pain I am having this time! 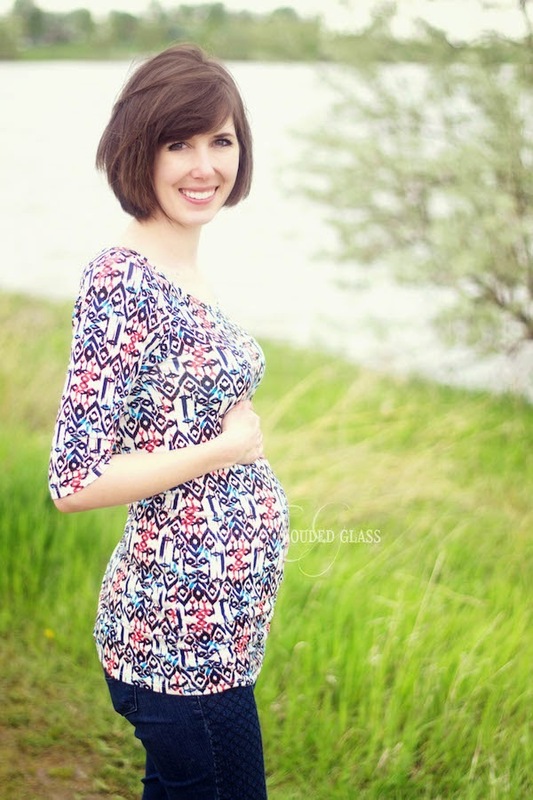 It is worse this pregnancy than any of my others, for sure, and it started early - like in the first trimester. I rolled over the other night and got a shooting pain all around my belly, and I was worried about the baby - but the next day he/she was moving around in there happy as can be, so it was just really bad ligament pain. I'm hoping it doesn't get too much worse! I have also been feeling more emotional in the last couple weeks, and I tear up at random things. 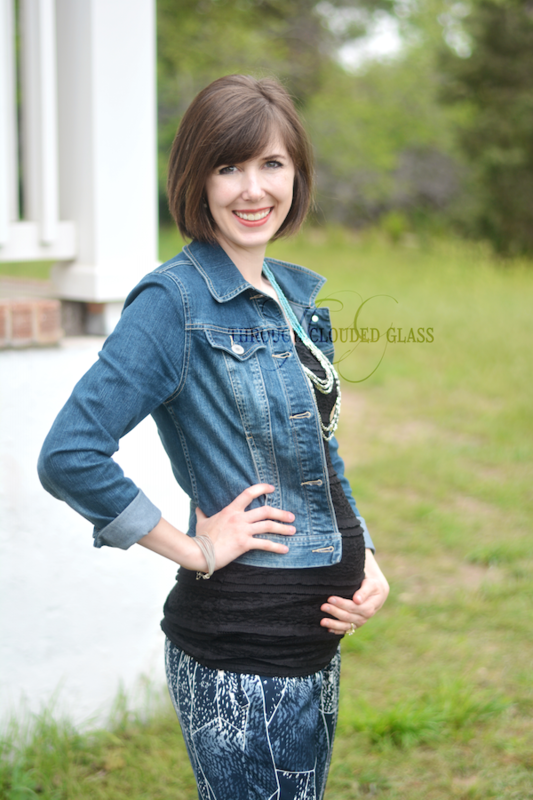 Not too much longer and we will know if this is a little mister or miss! And if I know you in real life, can you just not ask me anything about my baby or pregnancy for the next two weeks so I don't accidentally spill the beans? Thanks. Stay tuned! Linking up with The Life Of Faith, Life Could Be A Dream (for a pattern on the bottom style theme - does patterned stitching count? 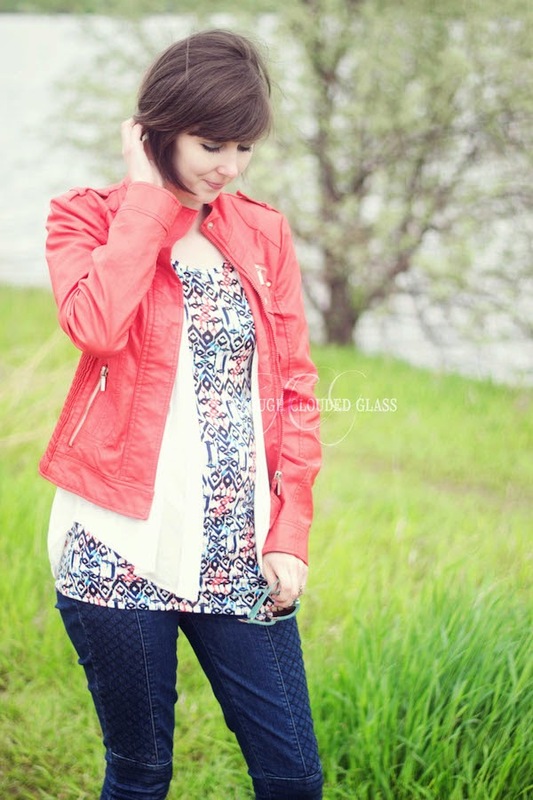 ), Life Of Meg, Fizz and Frosting, The Pleated Poppy.